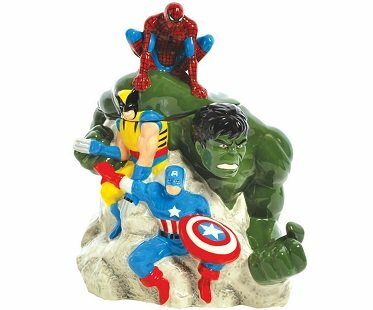 Keep your treasured treats protected inside this Marvel superheroes cookie jar! A great collector's item for fans of Spider Man, Wolverine, Captain America and The Incredible Hulk. It will look great displayed on your kitchen counter!